“This weekend was absolutely amazing. Made a lot of memories," Jon "Wolfzgang" Bufkin, a Rams Overwatch player, wrote in the Rams Discord Sunday night after NekoCon wrapped. "Was one of the best weekends I've in a long time.” His fellow Rams were quick to agree, posting messages of concurrance and photos from their time at the Hampton-based convention. NekoCon, now in its 21st year, is an anime and science fiction convention that welcomes fandom and cosplay enthusiasts from all over Hampton Roads. ECPI University shared in the festivities this year, with a booth in the gaming room that gave con-goers the chance to play the popular virtual reality game, Beat Saber. Admissions representatives were there to speak to anyone who wanted to discuss studying at ECPI University. A big draw for the table, and recognizable from their blue Rams jerseys, were the coaches and players of the ECPI Rams. As members of southeastern Virginia’s first collegiate eSports team, many gamers had questions about how they could go to school, get a great education, and help pay for their tuition by doing what they already love to do: playing video games. Beyond meeting the Rams at the booth, ECPI University held an eSports panel on Sunday morning. Moderated by Glenn Corillo, Rams coaches Gerry White and Stephen Arthur were joined by League of Legends player Taylor “Ramaki” Huson and Overwatch player Ian “KiltedZerk” Gibson. The panel discussed eSports in general as well as the ECPI Rams practices, advice for future eSports players, and the player's parents' reactions to their child's eSports endeavors. On Friday afternoon, eSports program director Mike Glover and Coach Stephen Arthur kicked off the weekend with a panel discussing the buying or building your own gaming PC. The experts broke down the pros and cons of each method and how building or buying might ultimately affect your gameplay. But eSports and video games weren’t the only topic at panels ECPI University was a part of. Saturday night, Professor Vedat Aksoy, Director of CAD and graphics at ECPI University, presented a 3D printing panel to a fascinated audience. Printing a 3D object while he spoke, Professor Aksoy gave some background into the modern 3D printing world and some examples of where it was headed in the future. The audience asked questions relating to the how to 3D print models created in Maya, CAD designing software, medical uses for 3D printing, and many other topics. The Culinary Institute of Virginia Cooks up a Storm! To top off Sunday, the Culinary Institute of Virginia had their Shokugeki cooking competition. The competitors, all CIV students competing for scholarship money, wowed a massive NekoCon crowd with their culinary skills and delicious creations. Their fresh take on Japanese street food had mouths watering. Will We See You At NekoCon 22? As everyone started to pack up and tear down, players, staff, and coaches started reflecting on this year's NekoCon and considering the possibilities for next year. One thing was certain, everyone at ECPI University can't wait to come back and do it all again. For everyone who participated in NekoCon this year, con-goer, player, or staff, from all of us at ECPI University a humble arigatou gozaimasu. 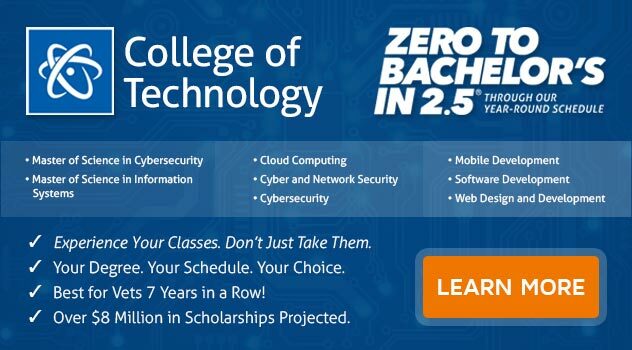 Are you interested in going to college for technology, business, culinary arts, or more? If you are looking for an accelerated university with the chance to earn scholarship money for playing your favorite video games, ECPI University offers these programs. For more information about your options and opportunities, connect with a friendly admissions advisor today.